A5 Spas, a family-run business with locations in Warwickshire, Lincolnshire, and London, celebrates their 10th anniversary selling and installing hot tubs with a grand reopening in Warwickshire on May 28th. Guests can stop by to view A5 Spas’s newly refurbished showroom with selections from Coast Spas and Regency Spas. We gained customer’s confidence by displaying the lifestyle experience in our showrooms alongside honest, professional advice. 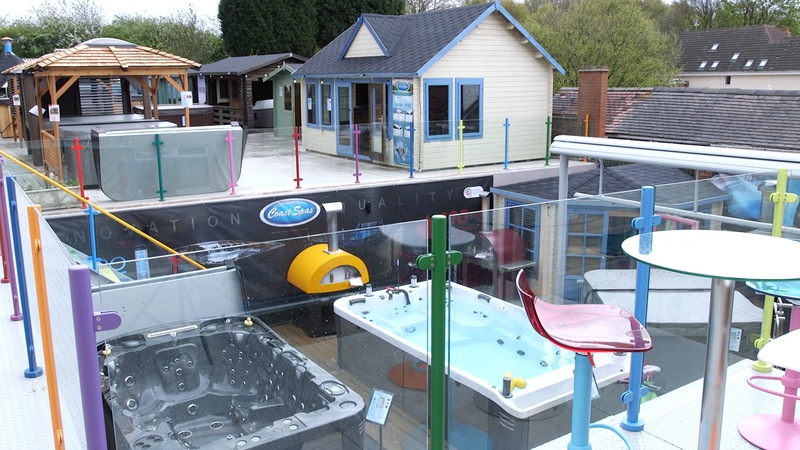 A5 Spas, run by brothers Mark and Paul Anthony, is celebrating their 10th anniversary as the number one retailer for premium hot tubs, swim spas and hydrotherapy pools by hosting a grand reopening of an expanded showroom in Dordon, Warwickshire on May 28th. The event, which will be hosted from 10 a.m. to 6 p.m., will have music, entertainment, refreshments, and a chance to win an Islander Hot Tub priced at £5000. Visitors to the newly refurbished 13,500 square foot Dordon showroom can enjoy a stunning display of Valkea cabins, saunas, cedar gazebos and pods, barbeque huts, Aqquatix underwater exercise equipment, Gibus awnings and Alfa wood-fired pizza ovens. Of course, customers and guests to the Dordon location will also have the opportunity to browse A5 Spas’s selection of 90 different hot tubs and spas, which includes wood-fired hot tubs and swim spas. Mark Anthony also agrees that quality is something customers should be able to see and experience for themselves. “In 2006 we decided to start selling and servicing hot tubs. Not long after we had made this massive investment the world economy went into recession," said Mark Anthony. "Local businesses and especially our competitors started closing, while internet businesses were taking the lion’s share of the sales. The media at the time was urging people not to buy, reporting on job losses and warning everyone to be more careful with their money. However, we continued to make great strides by basing our business ethos on supplying only quality luxury hot tubs with a unrivalled after-sales program. We gained customer’s confidence by displaying the lifestyle experience in our showrooms alongside honest, professional advice. From experience we knew that customers wanted to touch and feel what they were purchasing and that there was support should anything go wrong with what they bought from us. Keeping the faith, we adopted the ‘build it and they will come’ philosophy”. Over the last 10 years we have opened 2 additional stores, and with the re-opening and expansion of our main showroom, we have proved the ‘economic experts’ wrong!" The Dordon showroom and superstore, and grand reopening, is located on Watling Street in Dordon, Warwickshire. 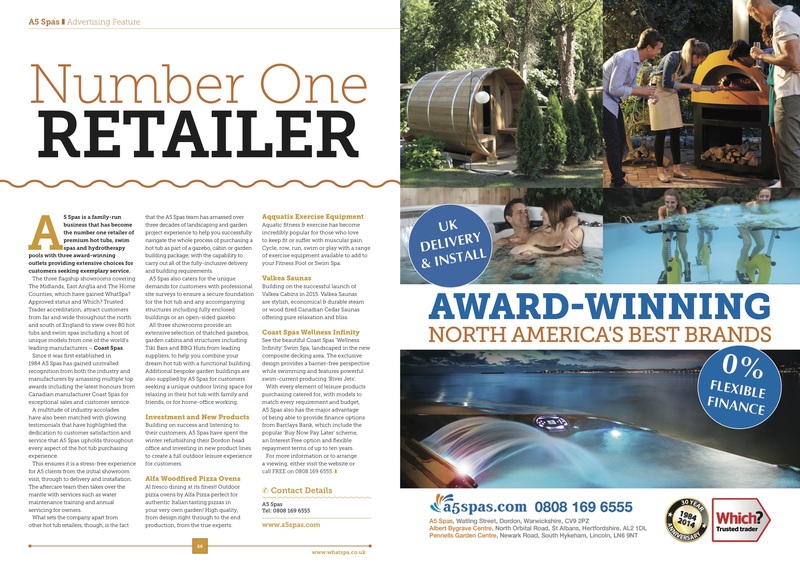 A press day will be held before the store’s grand re-opening on Tuesday, May 24th at 11 a.m.
A5 Spas, UK’s premium retailer of hot tubs and spas, has three locations throughout England in Lincoln, St. Albans, and Dordon. Mark and Paul Anthony, and their team of 20 employees are proud to import the finest brands from North America and Italy. They work closely with the Canadian manufacturer Coast Spas to bring top quality and efficient hot tubs to the UK. New for 2016 are a range of hot tubs designed exclusively for the UK climate and market based on customer feedback which is also being launched at the event - The Regency Collection. The company has invested in the latest products and technology, and comprehensive staff training. In 2015/16 they have been nominated for Apprentice Employer of the year, Entrepreneur of the year and have an award-winning customer care program. For further information, please contact Tracey Saunders at tracey(at)getbetterconnected(dot)co(dot)uk or at 07973 677039.